ravis Erickson (right) values his employees by implementing flexible schedules and split shifts. Ryan Shaw (left) is one of Erickson’s long-term employees. Finding and retaining employees is one of the many challenges agricultural employers face. In some cases, this means a lack of people in general, and in others, it’s a lack of young people who have interest in available jobs. Millennials — or people born between 1982 and 2004 — have much different expectations when it comes to their ideal job. To attract young, educated people, employers must step up their game and offer better pay, benefits, training, and quality of life. One such employer is Meyer Manufacturing in Dorchester, Wis. The company manufactures an extensive line of forage and manure handling equipment. It also has taken proactive measures to recruit employees by boosting entry-level wages along with offering more vacation days, while also allowing employees to accumulate vacation days from year to year. However, even with the revamped benefits, Meyer Manufacturing still struggles to recruit new employees. So, the critical question is: What can agricultural employers do to make their job opportunities more attractive, especially to the younger generation? Even in rural areas, many millennials do not come from a farm or have traditional agriculture experiences. “Having limited or no farm experience, young people are not accustomed to the prospect of potentially working 12- to 16-hour days, seven days a week, and working until the job gets done,” said Randy Tenpas, agriculture department chair for Fox Valley Technical College in Appleton, Wis. When employees are hired to work for custom operators and other agricultural employers, they are often surprised by the long hours and demanding schedule. Larry Meyer, vice president of Meyer Manufacturing, commented that they have had several employees resign after working just a few weeks on the job. To reduce miscommunication, employers need to help potential employees understand what is expected. This can be accomplished by creating detailed job descriptions that fully explain and document the job requirements and expectations. Young people coming out of school are very focused on “job fit,” and by listing the expectations, potential employees can better understand the job and what would be required of them. New employees also need to be trained to achieve success in their job. If they aren’t fully trained, there is a higher chance that they will become discouraged and ultimately leave the job. In addition to the changed demographics of the young employee pool, there have also been major changes in the types of jobs they find attractive. Millennials value quality of life more than any other generation. This concept can be hard for the agriculture community to grasp because the agriculture mindset is often to work until the job gets done. Recent college graduates are looking for employment opportunities that provide a good salary with benefits and an opportunity for career growth. Tenpas added that the median annual salary for Wisconsin Technical College System graduates with an associate degree is $37,440. Many graduates are also looking for benefits that include health insurance, 401(k) plans, and paid time off. 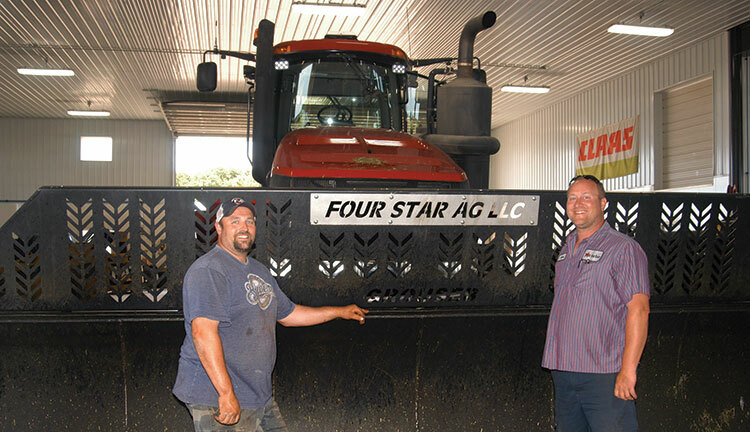 Some custom forage operators have found their own approaches to keeping reliable employees. So what’s the secret to keeping an exceptional group of employees? Erickson mentions that he allows his employees to keep a flexible schedule. “Many of our employees have young families, and if they want to leave early to go to their children’s event, I’m okay with that. Kids only grow up once, and I want my employees to enjoy family time,” he said. During their busiest times, Erickson noted that they may have to work weekends to get the crops harvested, but that might only entail working six or seven weekends throughout the year. Tenpas suggested that employers work with high school counselors and staff. For example, Meyer Manufacturing visits local high schools to help promote careers in welding. Employers should also continue to work with technical colleges and university agriculture programs to sponsor and/or provide education scholarships for students. This article appeared in the November 2017 issue of Hay & Forage Grower on page 12.